My family has many veterans who have fought for our country. Recently, my mom’s side of the family discovered that a German ancestor fought in the Revolutionary War. That’s pretty cool. More recent relatives who are veterans include my late uncle (served in the Air Force), another uncle (Korean War), and my living grandfather, who got to serve state-side during World War II, because he had three older brothers already in combat (he was young enough that the Saving Private Ryan act kept him home). 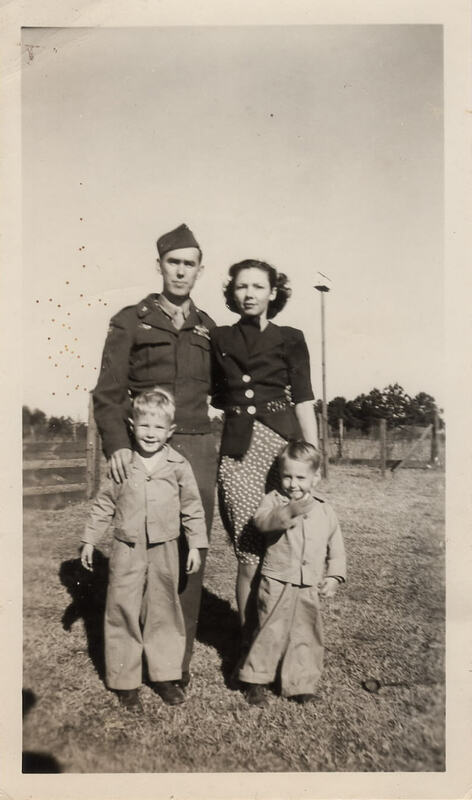 My other grandfather joined the Army when my father was four years old. My dad is the taller little boy in the family picture. He left my grandmother with two little boys. I can’t even imagine. He served in Europe and fought in the Battle of the Bulge. We never asked him questions about the war, but my sweet husband asked him. He talked about digging fox holes in the frozen ground and about being left for dead at least once. I couldn’t imagine waking up in a pile of dead bodies once, much less twice. 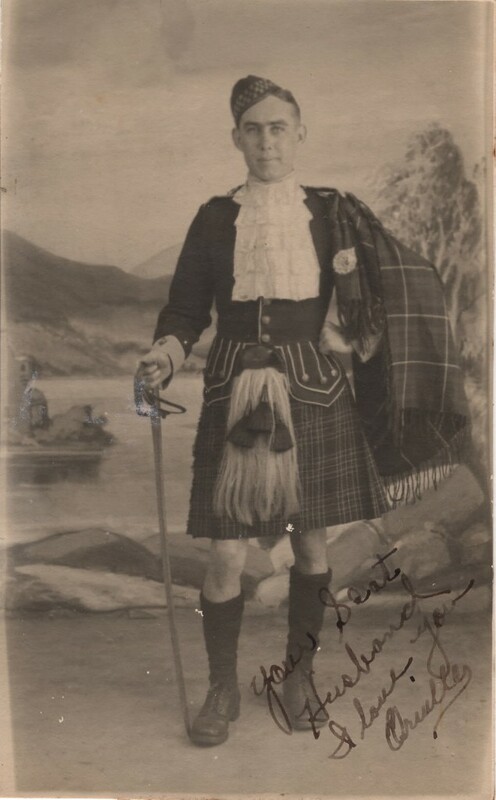 One time my grandfather got to go on leave in Scotland. The thing to do was get a picture taken in a kilt. He wrote my grandmother a little note in the corner. So sweet! I’m grateful for all the men and women who have served in our armed forces, have fought for our freedoms, and have sacrificed much. Thank you all! Also, thanks to Pauline B. Jones for her post about her dad today. It inspired to write this post differently.